What are you doing on Friday afternoon? Cancel everything. There’s a Twitter partay going down in which haircare favourites Aussie will be helping everyone to find their #AussiePerfectMatch in celebration of their brand new launch, Aussie 3 Minute Miracle Light Deep Treatment Mousse. 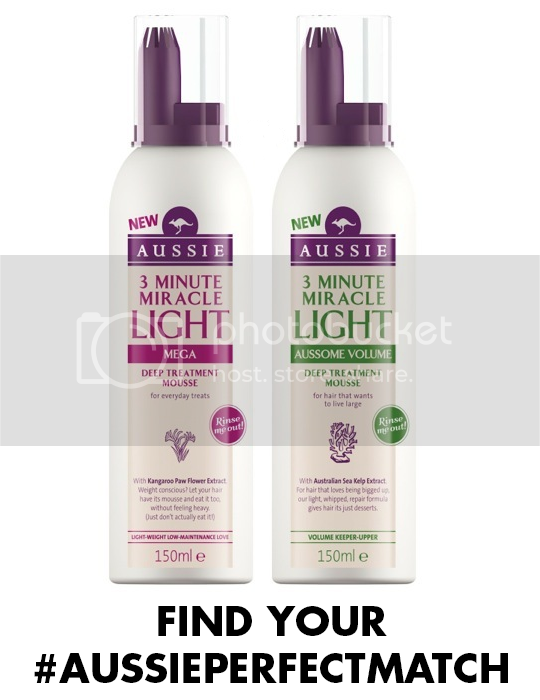 The Aussie 3 Minute Miracle range is already well-loved and pretty extensive, but these two new additions complete the 3 Minute Miracle line-up meaning that now, there really is an #AussiePerfectMatch for everyone. The Light Deep Treatment Mousse comes in ‘Aussome Volume’ or ‘Mega’ versions, and are an innovative rinse-out mousse formula. I can’t say I’ve ever seen a mousse that you use in the shower and rinse out – to me, mousse is still synonymous with that nasty crispy feeling but Aussie have turned it on its head with these gorgeous speedy treatments packed with juicy goodness and nourishing ingredients. 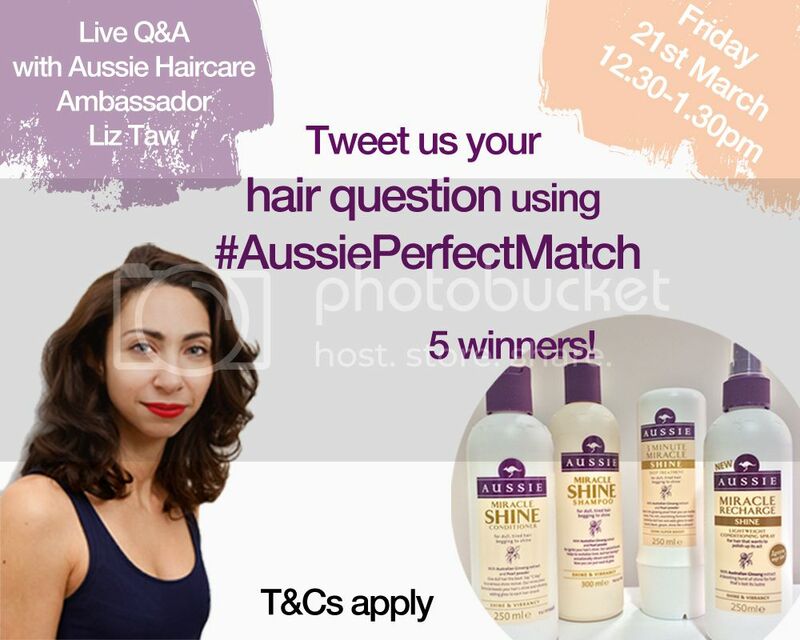 On Friday 21st March, from 12.30pm to 1.30pm, @Aussie_Hair_UK will be hosting a Twitter chat where Aussie Ambassador and celebrity hair stylist Liz Taw will be answering all your hair questions and helping to find your #AussiePerfectMatch in the 3 Minute Miracle range. Products will also be given away randomly to 5 people who take part in the Twitter chat, so make sure you’re there asking your questions and using the #AussiePerfectMatch hashtag to be in with a chance of winning some Aussome goodies (giveaway T&Cs here). I’ll see you there at 12.30om on Friday!